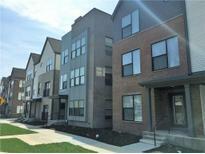 Below you can view all the homes for sale in the Herron Morton subdivision located in Indianapolis Indiana. 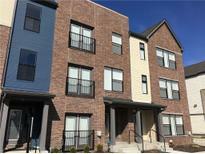 Listings in Herron Morton are updated daily from data we receive from the Indianapolis multiple listing service. To learn more about any of these homes or to receive custom notifications when a new property is listed for sale in Herron Morton, give us a call at 317-644-1844. See photos and schedule a tour. MLS#21630976. F.C. Tucker Company. Start your day with coffee from The Foundry, stroll over to Festiva and enjoy appetizers on their heated patio and wrap it all up with a nightcap at the Tinker Street. MLS#21630418. Onyx and East, LLC. Start your day with coffee from The Foundry, stroll over to Festiva and enjoy appetizers on their heated patio and wrap it all up with a nightcap at the Tinker Street. MLS#21630424. Onyx and East, LLC. Walk or bike to local restaurants/shops! MLS#21630093. United Real Estate Indpls. All 4 homes available for purchase now! Welcome to the neighborhood! MLS#21629284. United Real Estate Indpls. Driveway shared with adjoining common property owner(s). Subject to party wall agreement. 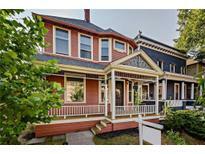 MLS#21628012. The Real Estate Alternative. Welcome to the home you've been waiting for! MLS#21628280. Plat Collective. Almost all mechanicals have been replaced, making this home move-in ready for the perfect buyer! MLS#21625923. F.C. Tucker Company. Close to so many local restaurants and parks! MUST SEE!! ! MLS#21626103. Royalty Realty, LLC. Start your day with coffee from The Foundry, stroll over to Festiva and enjoy appetizers on their heated patio and wrap it all up with a nightcap at the Tinker Street. MLS#21605646. Onyx and East, LLC. Additional features include folding glass doors to first floor and roof top terrace, custom steel and glass front doors, divided light windows, brick and stone front facade and standing seam roof. MLS#21603584. Litz Real Estate. Additional features include folding glass doors to first floor and roof top terrace, custom steel and glass front doors, divided light windows, brick and stone front facade and standing seam roof. MLS#21603587. Litz Real Estate. 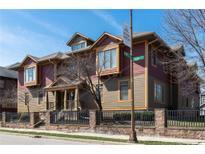 Driveway and selected garage spaces are shared with adjoining common property owner(s) MLS#21591593. The Real Estate Alternative. Additional features include 8 foot tall, folding glass doors to first floor and rear roof top terrace, custom steel and glass 8 ­foot tall front doors, divided light windows, brick and stone front facade, standing seam roof. MLS#21594222. Litz Real Estate. You still have time to customize finishes. MLS#21594205. Litz Real Estate. Additional features include folding glass doors to first floor and roof top terrace, custom steel and glass front doors, divided light windows, brick and stone front facade and standing seam roof. MLS#21594246. Litz Real Estate. Additional features include folding glass doors to first floor and roof top terrace, custom steel and glass front doors, divided light windows, brick and stone front facade and standing seam roof. MLS#21594286. Litz Real Estate. Compare to the rest and this will be the best! MLS#21579471. Litz Real Estate.